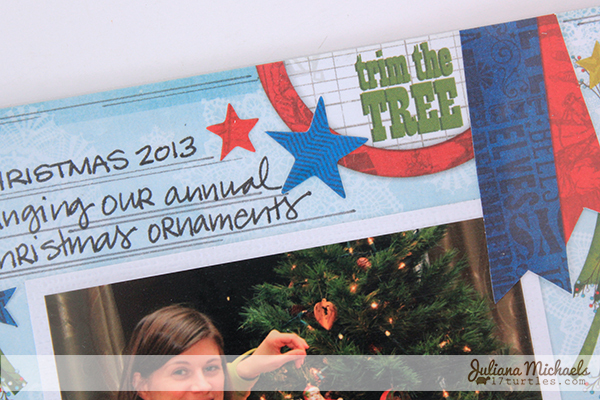 This time of year can be full of fun activities and traditions that help create memories to last a lifetime. 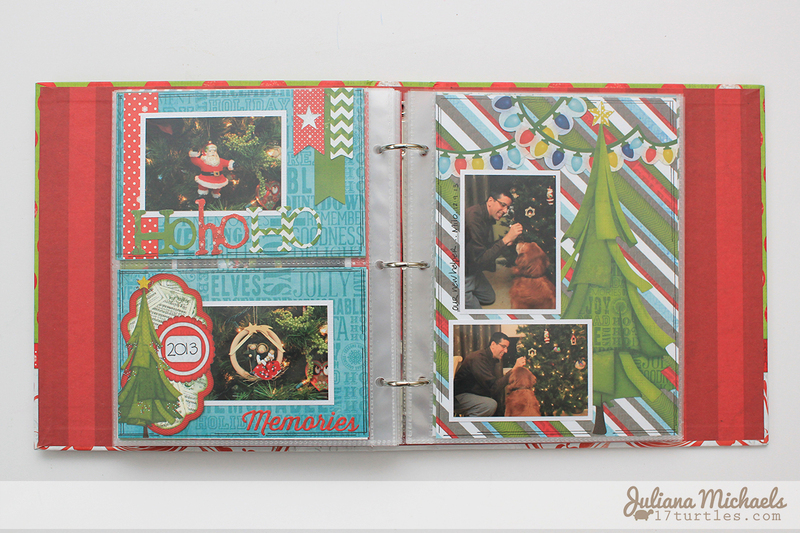 I can think of no better way to record those precious memories than with a BoBunny Elf Magic Misc Me album. 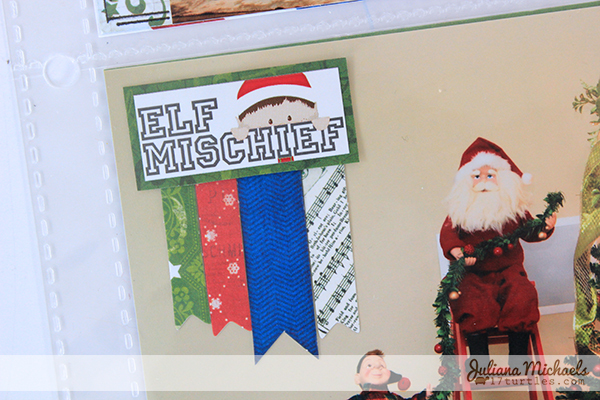 I first shared my Document December Misc Me album a few weeks back. 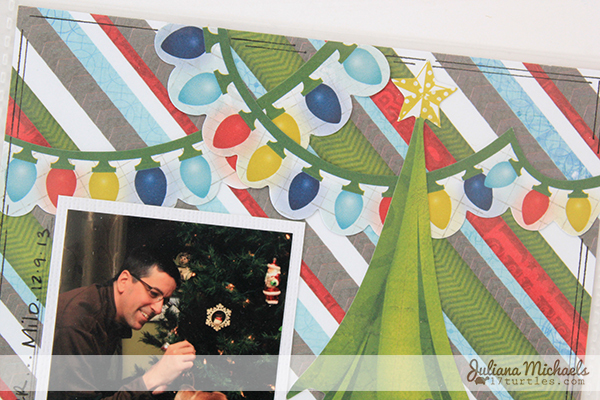 (Click on the words "Document December Misc Me album" to see them.) 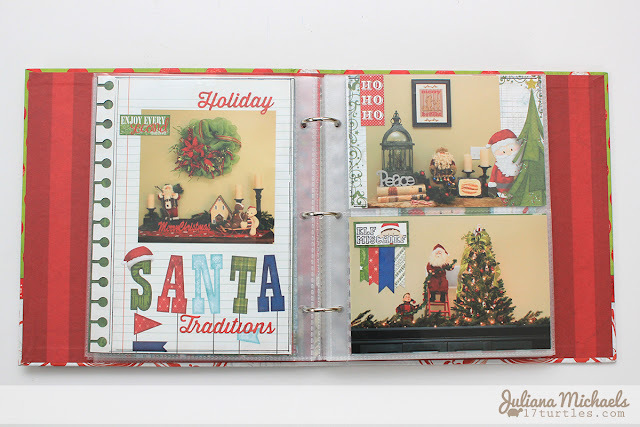 At that time, I shared the cover and how I pre-planned and organized the pages to have them prepared for when I was ready to add my photos and journaling. 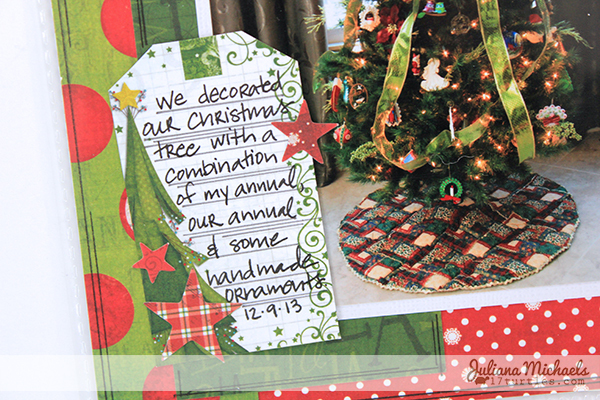 I wanted to work ahead to make things easier for me during the busy Christmas holiday season. Today, I'm sharing some of my finished pages from my Document December album, along with a few tips and techniques I used to decorate my pages. If you are interested in seeing close up images of each individual page, please visit the BoBunny blog. 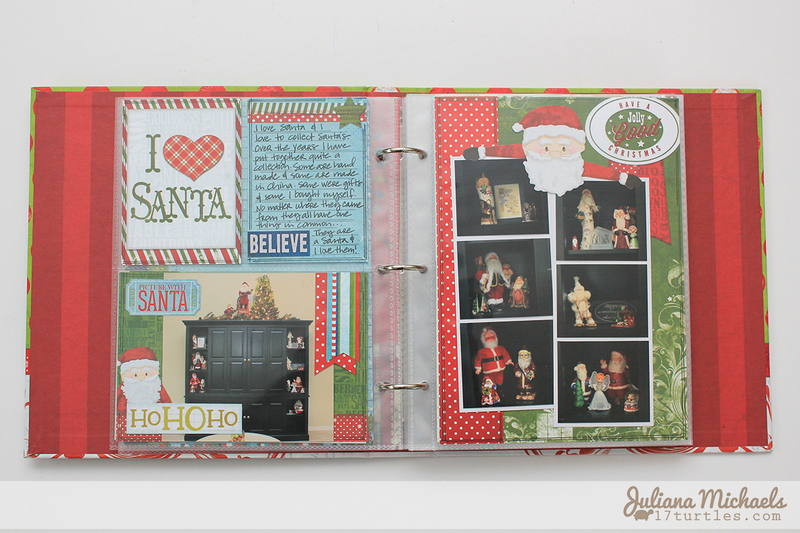 My first four pages are about my Santa collection. I love Santa. 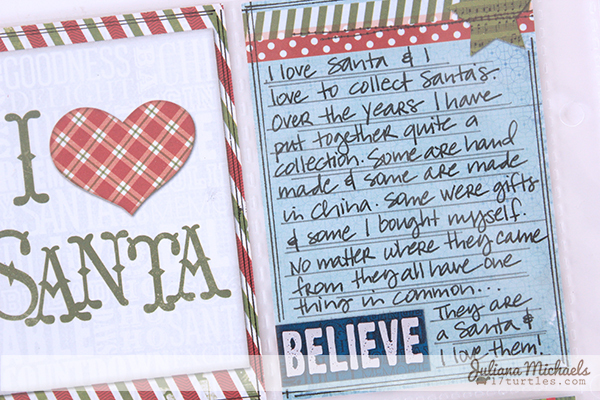 In fact...I call him Santie for fun and I love to collect unique Santa figurines. My collection is a combination of Santa's that are from my childhood, some given to me by my Mom or other family/friends and others are ones I have collected myself over the years. 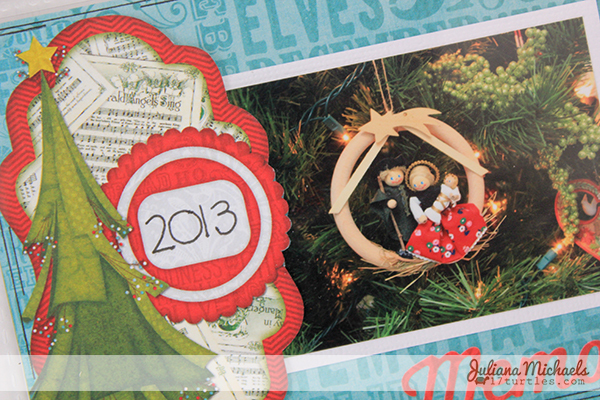 To decorate my pages, I used bits and pieces of the Elf Magic collection that featured Santa images and words. One tip is to use a craft knife and trim or fussy cut around the edge of the image on one of the Elf Magic Content cards. 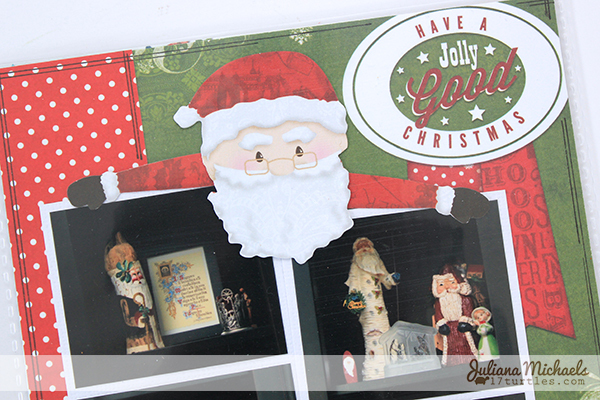 Then I was able to tuck my photo behind the image and have Santa and the sentiment show on top of the photo. 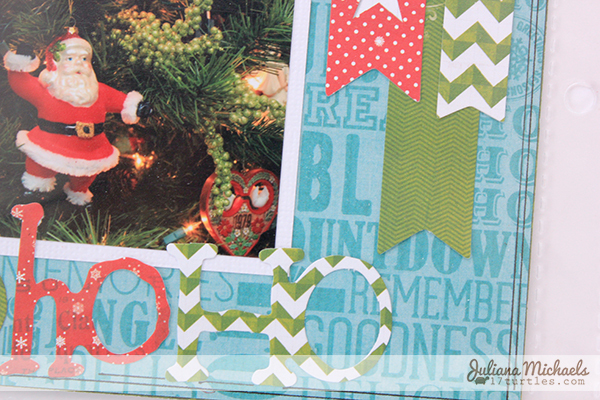 This adds an element of layering without adding more bulk to the page. This next tip uses one of the Elf Magic Noteworthy die cuts and a pair of scissors. I used my scissors to trim the Santa from the frame. 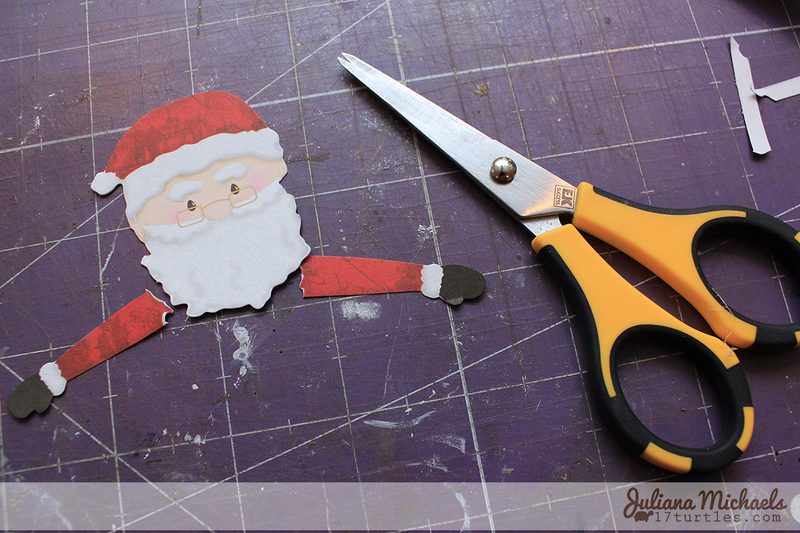 By cutting him away from the frame, I was able to have more control over where I placed the Santa on my page. 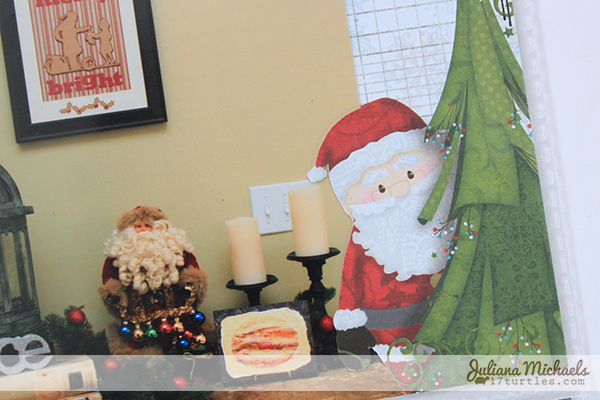 Now he looks like he is hugging all the other Santie's! 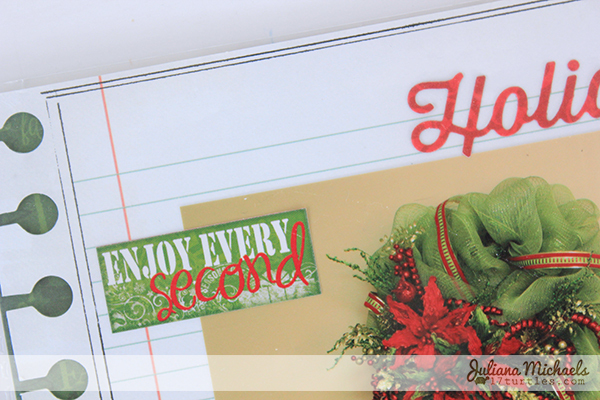 You might have noticed some of the pen work around the edges of my pages and inserts. I used a black pen and a metal edged ruler to draw the lines. I placed the ruler where ever I wanted a line and then ran the pen along the metal edge to achieve the straight lines. 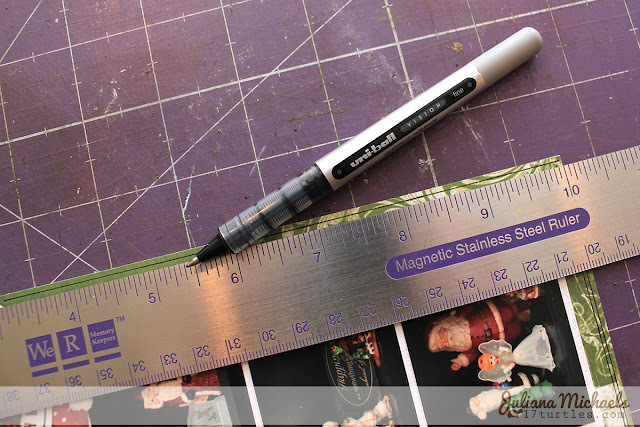 Of course, if you prefer a more hand drawn and doodled look, you could draw the lines without the ruler. 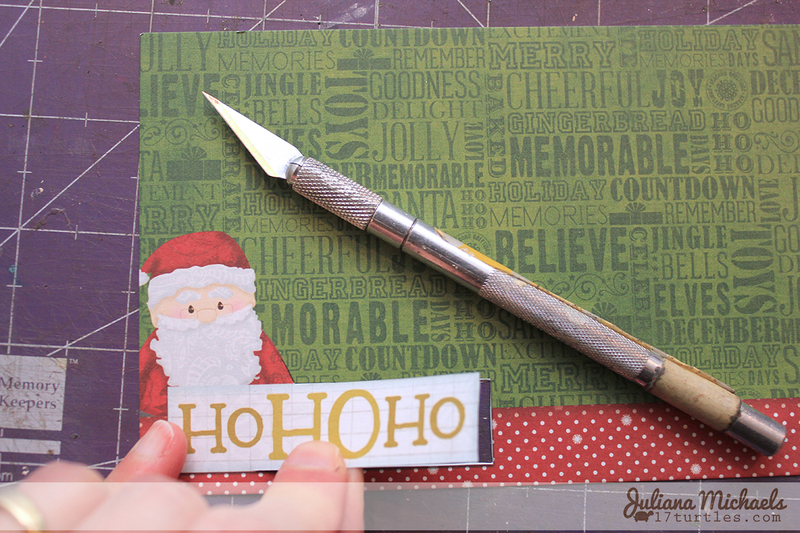 Here, I used the craft knife fussy cut and photo tuck technique again. 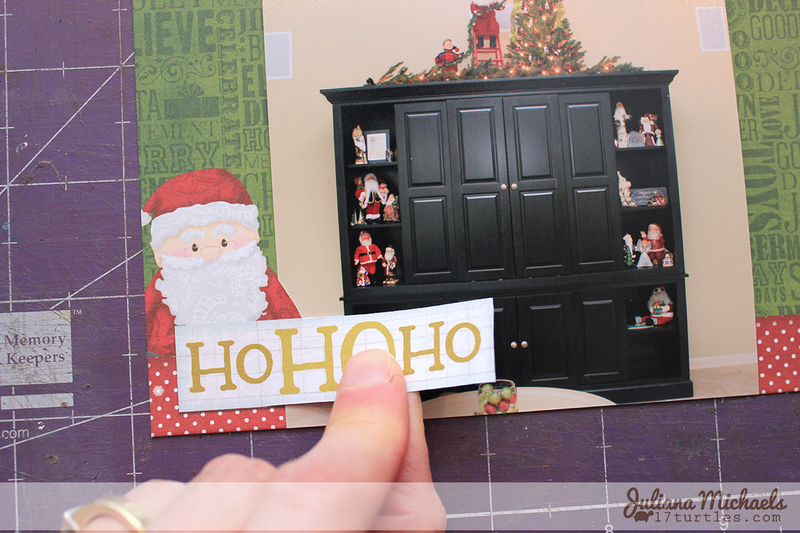 I created this decorative element using a cardstock sticker and some banners from the Noteworthy pack. 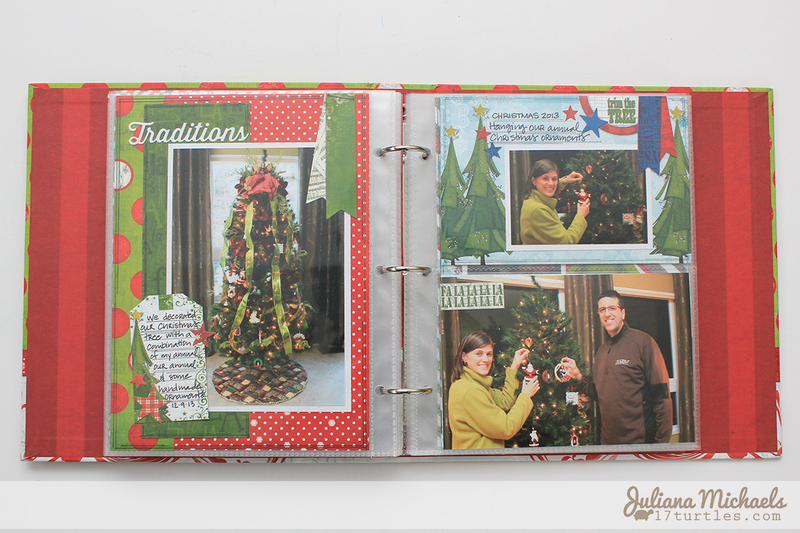 These next four pages are about our Christmas tree and our tradition of getting at least one new Christmas ornament each year. This year we got two...a glass vintage looking Santa and a German style Nativity. 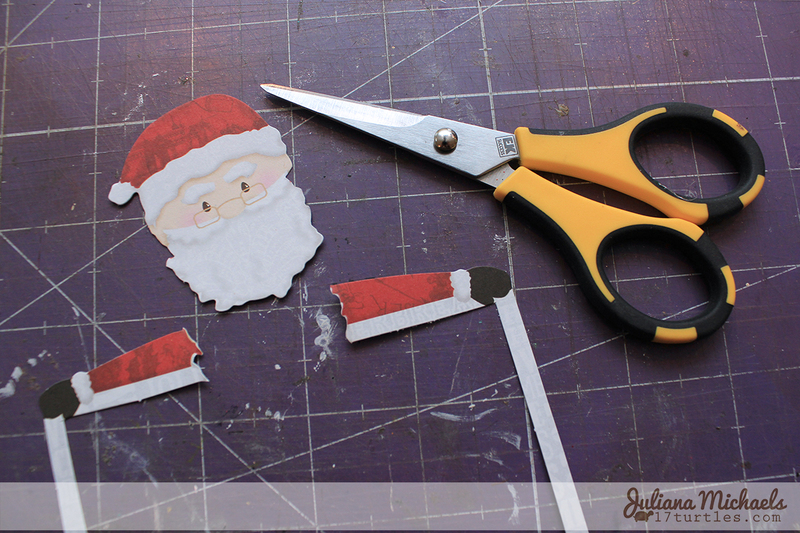 This time I used scissors to fussy cut a tag image and then tucked the photo under the tag. Are you documenting your December? What method or style or products are you using? I'd love to see your take on this fun project and I can't wait to finish my album. 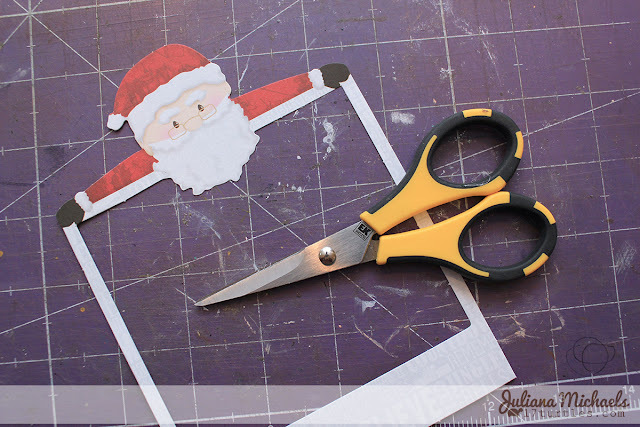 Love love love love the photos and loving the fussy cutting!!!! Your album looks great Juliana, and I love that you documented about your Santa collection! !